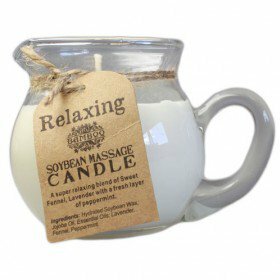 These beautiful Soybean Massage Candles have been carefully\nblended using only pure essential oils and natural plant waxes. Jojoba oil adds\na tactile and luxury feel to this warm wax massage. 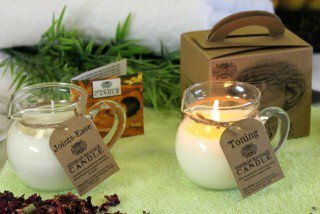 A super relaxing\nblend of Sweet Fennel, Lavender with a fresh layer of Peppermint. With exotic oils to\nexcite and stimulate. Ylang Ylang is traditionally used on Indonesian wedding\nbeds. Oils renowned for\nimproving circulation and toning the skin. A blend of essential\noils to reach those places that ache and work its magic. 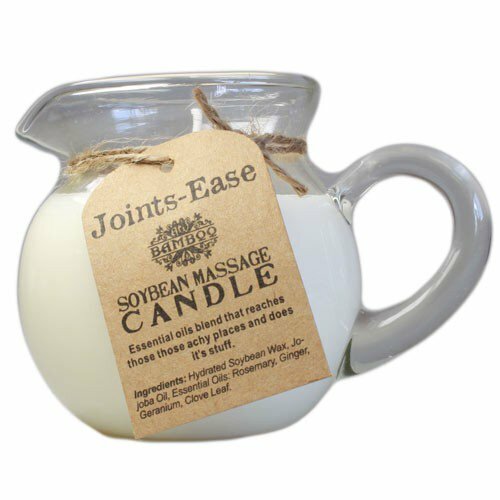 These beautiful Soybean Massage Candles have been carefully blended using only pure essential oils and natural plant waxes. Jojoba oil adds a tactile and luxury feel to this warm wax massage. The ingredients are extremely rich and moisturising so a little will go a long way. Ideal for rubbing into those dry skin areas to replenish and nourish the skin. Made with the finest natural blend of waxes and only pure essential oils. So turn down the lights and set the mood with some relaxing music. Ensure the room is warm and you have soft towels and warm hands. 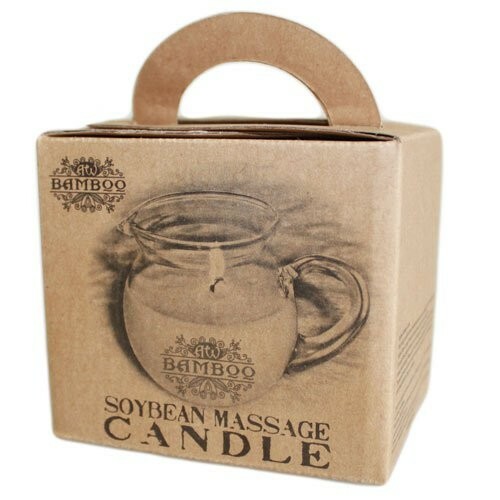 We hope you enjoy these unique and sensual massage candles. 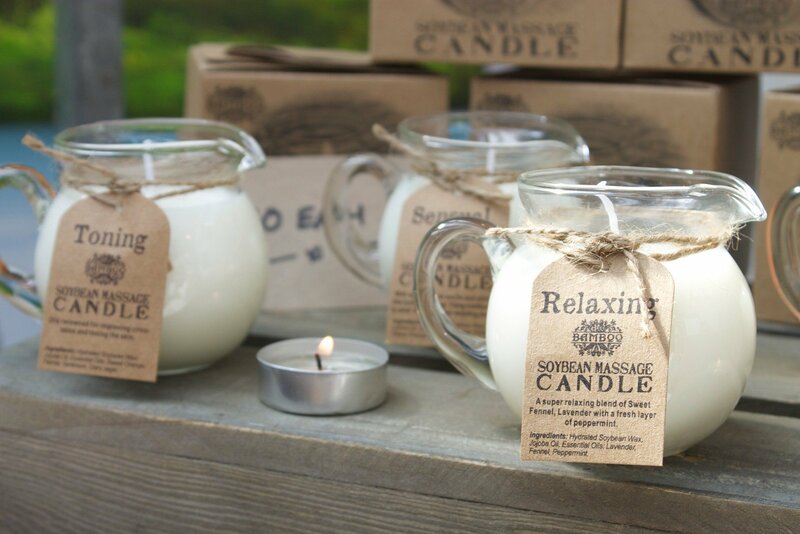 A super relaxing blend of Sweet Fennel, Lavender with a fresh layer of Peppermint. Ingredients: Hydrogenated Soybean Oil, Jojoba Oil, Essential Oils: Lavender, Fennel, Peppermint. With exotic oils to excite and stimulate. Ylang Ylang is traditionally used on Indonesian wedding beds. Ingredients: Hydrogenated Soybean Oil, Jojoba Oil, Essential Oils: Ylang Ylang, Sweet Orange, Patchouli. Oils renowned for improving circulation and toning the skin. Ingredients: Hydrogenated Soybean Oil, Jojoba Oil, Essential Oils: Sweet Orange, Fennel, Geranium, Clary Sage. A blend of essential oils to reach those places that ache and work its magic. Ingredients: Hydrogenated Soybean Oil, Jojoba Oil, Essential Oils: Rosemary, Ginger, Geranium, Clove Leaf. Firstly, don’t worry that the wax will burn you. This special natural wax blend has a very low melting point, it will melt at around 45C which is like warm bath water. Light the candle and allow to burn for ten minutes or until a pool of wax forms. When a pool of wax appears, blow out the flame and wait for a minute or so. The wax will be warm but not hot enough to burn the skin. Now you can pour directly from the jar on to the skin. The warm oil creates an especially tactile and sensual experience. Not recommended for use on the face. Take special care to avoid contact with eyes. As with all candles never leave a burning candle unattended and keep away from flammable material, children and pets.